The average cost of memory care in Hanover is $3,930 per month. This is lower than the national median of $4,650. Caring.com has helped thousands of families find high-quality senior care. To speak with one of our Family Advisors about memory care options and costs in Hanover, call (855) 863-8283. Hanover is a subdivision of the Madison metropolitan area of Jefferson County that has a population of 2,834 with 14.3 percent of those residents being age 65 or older. Hanover currently has one memory care facility available for seniors diagnosed with Alzheimer's or another form of dementia. However, there are two additional facilities to choose from within the Madison metropolitan area. 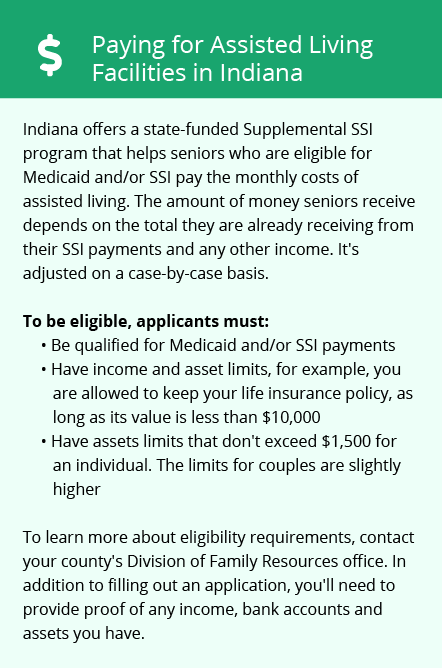 In Hanover, as with every municipality of the state of Indiana, memory care facilities are referred to as Assisted Living Facilities (ALFs) and need to file disclosure forms with the Family and Social Services Agency (FSSA) Division of Aging. The air quality in Hanover has a current rank of 70, which is well above the national average of 58 and could impact the health of seniors. Families of seniors with respiratory issues or allergies may want to ask staff what measures they have in place to handle the local air quality and prevent illness. The cost of living in Hanover is lower than the national average. Hanover ranks 77.5 out of 100 with one being the least expensive. Families of seniors with tight memory care budgets might want to take the lower cost of living into consideration. The climate in Hanover is similar to other districts in the Madison County area with highs of 85 degrees and lows of 22. With higher than national average rainfalls and the possibility of snow, families considering memory care in Hanover might want to inquire about protocols preventing residents from going outdoors during extreme weather. Memory Care costs in Hanover start around $3,930 per month on average, while the nationwide average cost of memory care is $4,799 per month. It’s important to note that memory care rates in Hanover and the surrounding suburbs can vary widely based on factors such as location, the level of care needed, apartment size and the types of amenities offered at each community. Hanover and the surrounding area are home to numerous government agencies and non-profit organizations offering help for seniors searching for or currently residing in an assisted living community. These organizations can also provide assistance in a number of other eldercare services such as geriatric care management, elder law advice, estate planning, finding home care and health and wellness programs. To see a list of free memory care resources in Hanover, please visit our Assisted Living in Indiana page. 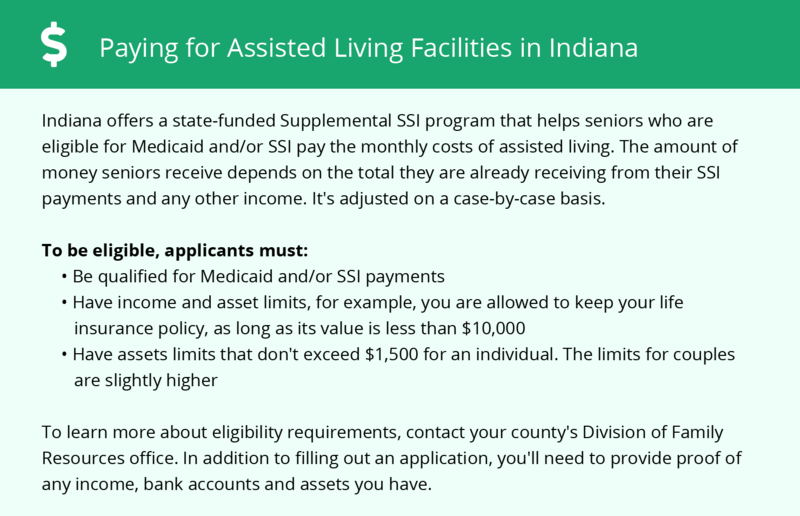 Hanover-area assisted living communities must adhere to the comprehensive set of state laws and regulations that all assisted living communities in Indiana are required to follow. Visit our Memory Care in Indiana page for more information about these laws.